Timeshare Exit Team: Secrets From The Pros On Timeshare Cancellation! If your family vacations turns into a nightmare because you are stuck in a timeshare, you will need to find out how to get rid of a timeshare. Using our timeshare exit team, you can cancel a timeshare without paying a huge penalty. Family vacations are an important part of life. They help you reconnect with your loved ones, relax and recharge. You make lasting memories for you and your children. In fact, some of my favorite early memories are of walking on the beach in Mexico with my mom. We would get up early so we could get down to the beach at low tide. We would spend the morning looking in tide pools to find sand dollars and waking up early, hoping to catch a glimpse of the dolphins jumping. I also have fond memories of visiting a cabin in the woods near a lake in northern Canada. Fishing off the dock with my dad, having a fire at night and telling scary stories. Waking up early to drive into town for ice cream and French fries. My brother and I would build what we called “fairy houses” and at night, my parents would sneak out to them and leave us some rent money from the fairies (usually a quarter, sometimes a dollar if we were lucky). I am lucky because my vacation memories are happy and varied. For some families, their vacations can be less than enjoyable. In fact, one of my close friends remembers a time that they went away for two nights at a resort in Scottsdale. It was a free trip, and she was so excited to spend time in the pool. Instead, her parents had to listen to a 5-hour presentation on buying a timeshare one day, taking nearly a full day away from her vacation. It did not end there, however, as her parents bought the timeshare. This was great for about two years, but increasing maintenance fees and a rigid schedule with little flexibility turned their vacation dreams into nightmares. Her parents ended up spending the next several years trying to figure out how to get rid of a timeshare, losing money and sleep in the process. Her family was not alone. Many timeshare buyers find themselves looking for how to get rid of a timeshare. During the presentation, the timeshare may seem like a great value, but the reality is often different. Usually, you are promised that you will be able to trade or sell your weeks. This is a great idea in theory but may be difficult in practice. As a result, you may end up going to that same resort in Scottsdale year after year. This is fine for a while, but usually, families would like some variety and flexibility in their vacation planning. Your kids may want to experience Disneyland while you and your husband may dream of the perfect beach getaway. If you are locked into a vacation destination, you may not have the option to go anywhere else. Limited vacation days and finances mean that you have to make choices about how you spend your vacation time. If you week is already paid for, chances are you won’t be able to skip that vacation in favor of another because it will be too expensive. You may think there is no way out. Take it from us, though; many timeshare buyers have been frantically searching for how to get rid of a timeshare and those who have called us have found success. Don’t try to cancel your timeshare on your own. The resort and timeshare company will try to convince you that a cancellation is impossible. This is simply not true. Some people mistakenly try a timeshare cancellation by calling the resort and give a real sad story and then say; I need to know how to get out of a timeshare. For sure, these people do not know how to get rid of a timeshare. The best way to cancel a timeshare is to call our timeshare exit team. Our timeshare exit team knows how to get out of a timeshare. You only have one chance to get a timeshare cancellation. Our timeshare exit team services are guaranteed to get you a timeshare cancellation, not a partial cancellation but a fully authorized timeshare cancellation. You don’t need a timeshare attorney or a long, complicated process. 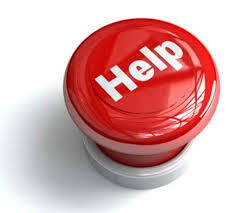 All you need is our timeshare exit team because we know how to get rid of a timeshare. Stop letting a bad timeshare ruin your family vacation. 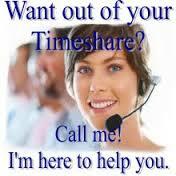 We know timeshare cancellation and are here to help you today.